[SatNews] Space shuttle Discovery is scheduled to begin an 11-day mission to the International Space Station with a launch at 4:40 p.m. EDT on Monday, Nov. 1, from NASA's Kennedy Space Center in Florida — the STS-133 mission is Discovery's final scheduled flight. Discovery's launch date was announced Monday at the conclusion of a flight readiness review at Kennedy. During the meeting, senior NASA and contractor managers assessed the risks associated with the mission and determined the shuttle and station's equipment, support systems and personnel are ready. The six astronauts for the mission will deliver the Permanent Multipurpose Module (PMM) to the station. The PMM was converted from the multi-purpose logistics module Leonardo and will provide additional storage for the station crew. Experiments in such fields as fluid physics, materials science, biology and biotechnology may be conducted inside the module. 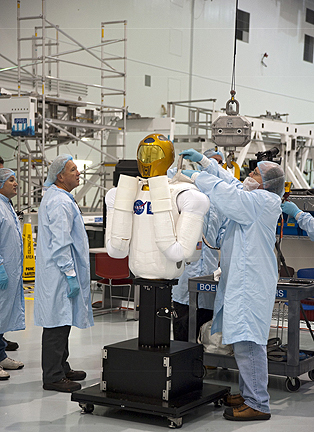 The PMM also carries Robonaut 2, the first human-like robot in space, which will become a permanent resident of the station. In addition, the flight will deliver critical spare parts and the Express Logistics Carrier 4, an external platform that holds large equipment. STS-133 Commander Steve Lindsey and his crew are scheduled to arrive at Kennedy on Thursday, Oct. 28, for final launch preparations. Joining Lindsey are Pilot Eric Boe and Mission Specialists Alvin Drew, Tim Kopra, Michael Barratt and Nicole Stott. Drew and Kopra will conduct two spacewalks to install new components and do some maintenance work. 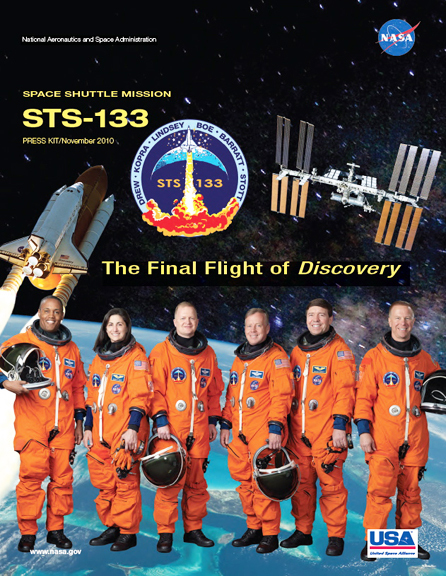 STS-133 is the fourth and final shuttle mission planned for 2010. 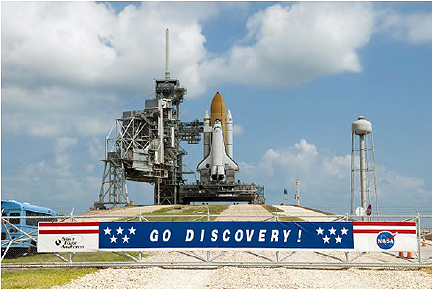 It is Discovery's 39th flight and 35th shuttle mission to the station.